Here’s the newest addition to your Mover apparel - the heather navy blue Movers 10-4 tee. Emblazoned on the front chest is an Abbey Road-inspired Movers image. Notice how the Movers silhouettes and crosswalk are filled with images from their previous 9 album art covers. 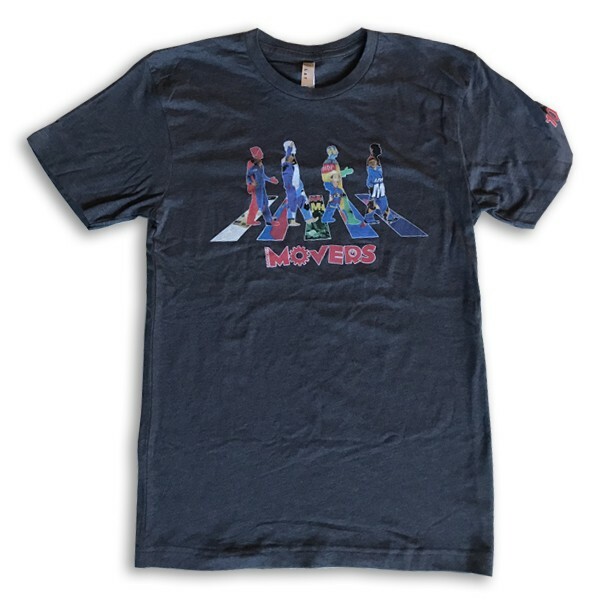 Along with a new version of the Movers logo and the numbers 10-4 on the sleeve, you’ll be able to walk anywhere in style, representing your favorite band as together we celebrate their 10th album.